That bothers me the least of all of those ads. The witch in the broom factory is much much worse. The antelope with night vision goggles is the worst. Such a reach. Especially since animals have pretty good night vision. I thought he was supposed to be some random coke dealer, then I realized that he's "someone." LOL, Pitbull. I only know who he is thanks to Todd in the Shadows. Joke city. columbia wrote: I thought he was supposed to be some random coke dealer, then I realized that he's "someone." the wicked child wrote: LOL, Pitbull. I only know who he is thanks to Todd in the Shadows. Joke city. only time i've seen him or heard of him was on shark tank. damon john promised a guy he'd bring a major "talent" to the guy's nightclub related product. they showed an update where damon's like "here's the talent!" and that guy walked out. luckily, the nightclub product guy knew who he was. i guess he's internationally famous. "Hi, I'm Dan Tullis, and I just called -- JOEL CLARK"
roland wrote: "Hi, I'm Dan Tullis, and I just called -- JOEL CLARK"
Is it me or do both people in that ad sound like the same person? The NHL Gamecenter ad that has been playing on the radio lately. I hope each ad is taylored to a specific listening area because otherwise it just gives everyone more reason to hate Pens fans. "PENGUINS BABY! OH! SPINARAMA! TOP CHEESE!" A thousand times, yes. Dude just looks like a total cheeseball. the funny thing about pittbull commercials is that the vast majority of his songs involve pitt bull bragging about how much of a stud he is. theres nothing studly about fist pumping like a nerd on a nationally televised commercial. Sam's Drunk Dog wrote: The NHL Gamecenter ad that has been playing on the radio lately. I hope each ad is taylored to a specific listening area because otherwise it just gives everyone more reason to hate Pens fans. I doubt that ad would make people hate Pens fans. I think that ad is for everyone and not just a specific area. The ad is very annoying though. I hate the name of the guy in the ad (Johnny Hockeyfan) and how he acts. If anything that just makes people want to hate hockey fans in general since we all supposely act like that *****. Last edited by Tim Thomasen on Mon Jan 28, 2013 10:50 am, edited 1 time in total. Gus, the 2nd most famous groundhog in Pennsylvania. I would like to show him the business end of my 12 gauge. 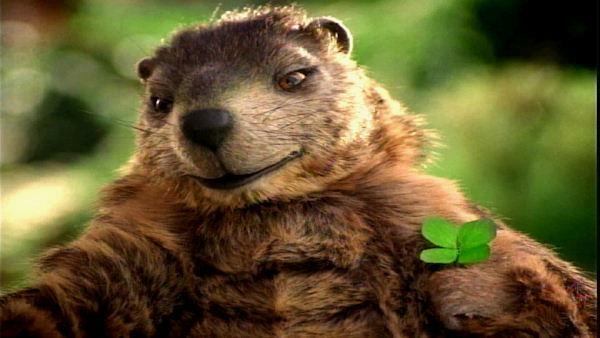 slappybrown wrote: Gus, the 2nd most famous groundhog in Pennsylvania. I would like to show him the business end of my 12 gauge. You'll be happy to know that they no longer run those ads. Or at least I haven't seen or heard them in at least a couple months. I heard somewhere that the advertising company that created that idea wasn't retained. Saga of husband without Directv multichannel DVR option. 1. Wife in shower, steps out to find a DVR error message in bathroom while husband brushes teeth. She says something about it having seen her naked, and husband responds, "Well, at least something around here gets to see you naked." 2. Husband and wife with friends visiting and error message sits between husband and wife. While he complains about how the wife and kids get to record their programs and he doesn't ever get to record his, other couple says they probably should leave, and husband says to other man, "no, don't leave. We have a whole slice of Brie to eat, and you look like you're a cheese man." 3. Kids in backyard playing and they get ball stuck in fence. They ask mom to retrieve the ball, she tells them to ask the dad. Kid tells mom, "we asked dad, but he says you aren't very good at sharing and that you really don't know how hard it is to stay married with a woman that doesn't share." Then dad tells the kid to hurry up and go get him more chips. In real life, husband is future taster of arsenic-laced dinner and dead man walking. OMG Progressive made commercials with Flo singing. As if the original ones were not terrible enough. Gus was retired last year. Are you sure "sings" is the operative word there?